STM Bags are constantly surprising us with their array of practical yet stylish bags for use with your technological gear. 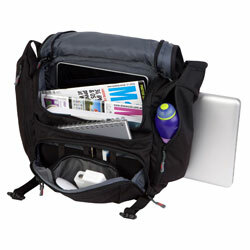 The new STM Velo Small Shoulder Bag For 13″ Laptops, including MacBook 13″ and MacBook Air 13″, is no exception. Designed as a shoulder bag to safely store your 13″ laptop, the STM Velo Small Shoulder Bag For 13″ Laptops is truly a piece of artwork. With an array of pockets, zips and buckles, the STM Velo Small Shoulder Bag For 13″ Laptops will allow you to keep your day, and your gear, organized. The large main compartment has plenty of room for books and papers as well as a handy soft nylex lined pocket for your iPad, tablet or e-reader device. Your 13″ laptop slides into a conveniently and uniquely placed side pocket lined with plush corduroy and high density foam keeping it super safe and away from all your other stuff to prevent any unwanted scratches or damage. Furthermore, the STM Velo Small Shoulder Bag For 13″ Laptops has two zippered side pockets and a front pocket with plenty of organized spaces for keys, pens and chargers. 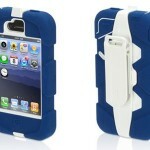 There is even a special front drop pocket lined with fleece for keeping your iPhone and sunglasses safe and scratch free as well as a document pocket on the back. A main flap closes over the STM Velo Small Shoulder Bag For 13″ Laptops and fastens with two buckle closures keeping everything inside safe and secure. 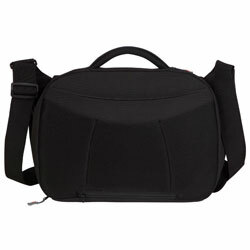 The STM Velo Small Shoulder Bag For 13″ Laptops features a grab handle on the top for ease of use along with the main adjustable shoulder strap. Made from a water resistant micro ripstop polyester with a plush corduroy lining, the STM Velo Small Shoulder Bag For 13″ Laptops is ideal for keeping your 13″ laptop or MacBook along with all your other gear, safe and sound as you go about your busy day. 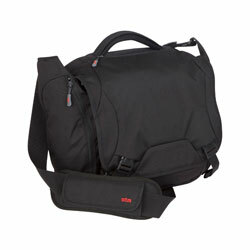 The STM Velo Small Shoulder Bag For 13″ Laptops is available in Black.